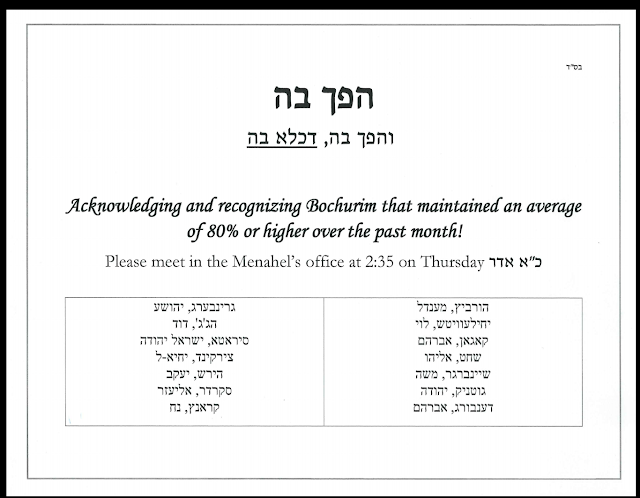 מתיבתא ד'קוראל ספרינגס: Bochurim rewarded and recognized for maintaining 80 average! 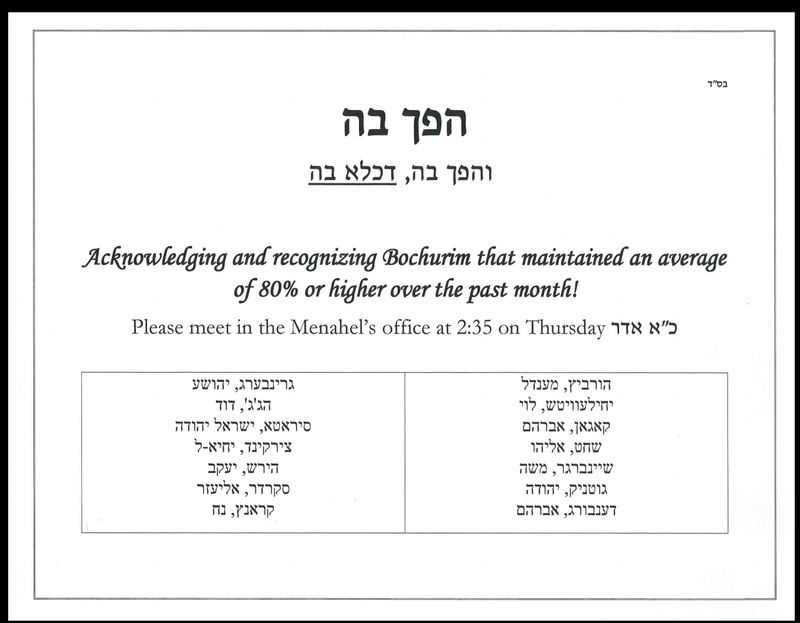 Bochurim rewarded and recognized for maintaining 80 average! Happy to go on Mivtzoim!